Slowly but surely the half bath is coming along. I made two shelves to hang above the toilet. It was a fairly easy process. I stained some wood after The Hubster cut the board to size for me. 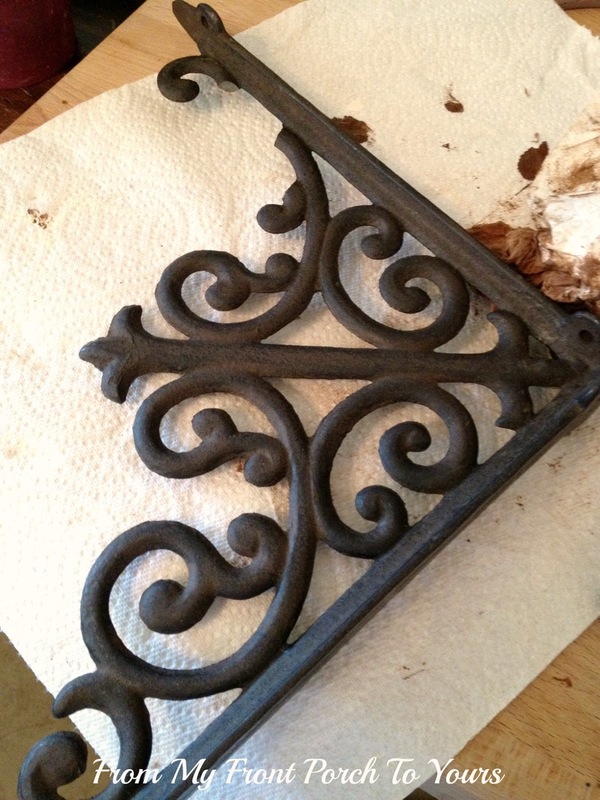 Then I used my Hobby Lobby iron brackets that I purchased at 50%. This is how the brackets originally looked. I decided that they were too new looking and I wanted to make them look old and rusty. While I was painting them I also noticed that they were broken in places but I decided that was fine because it would just add to their charm. 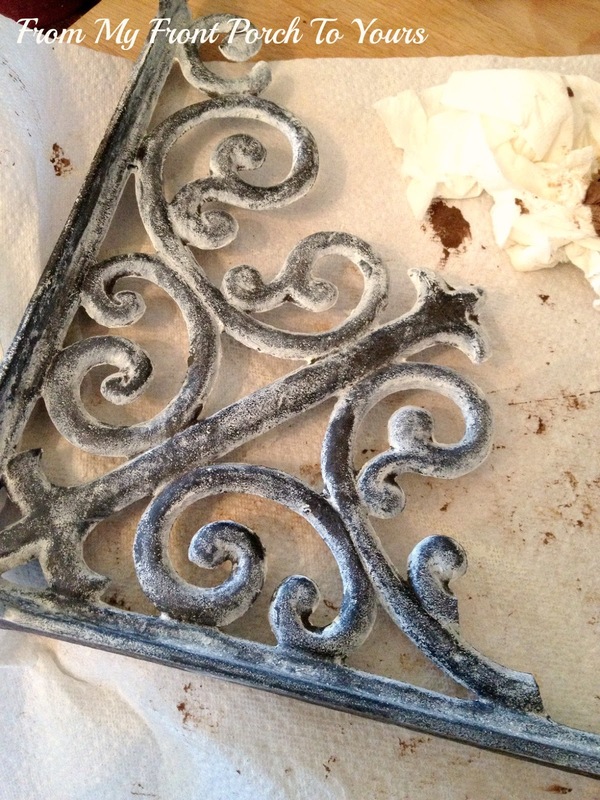 To help achieve the rusty iron look I was going for I used my Annie Sloan Old White. 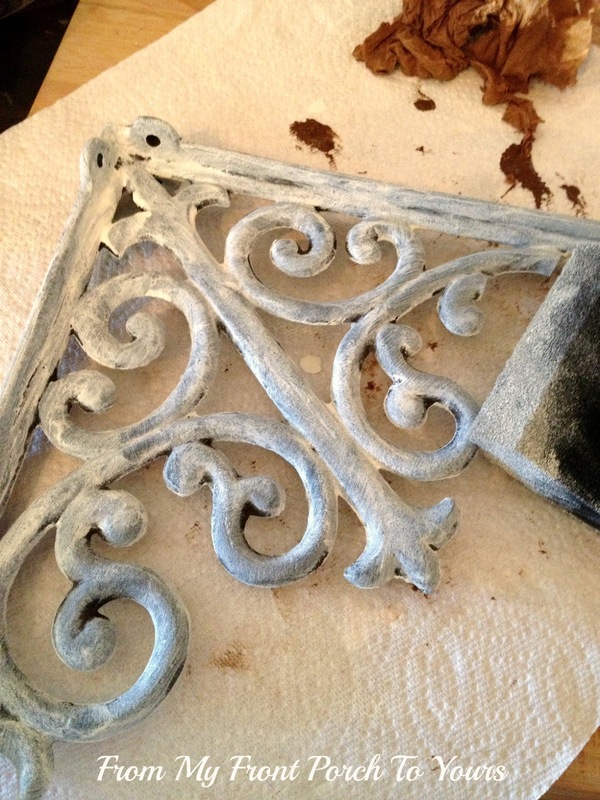 With a sponge brush I added the white all over. You could use a regular paint brush if you want. 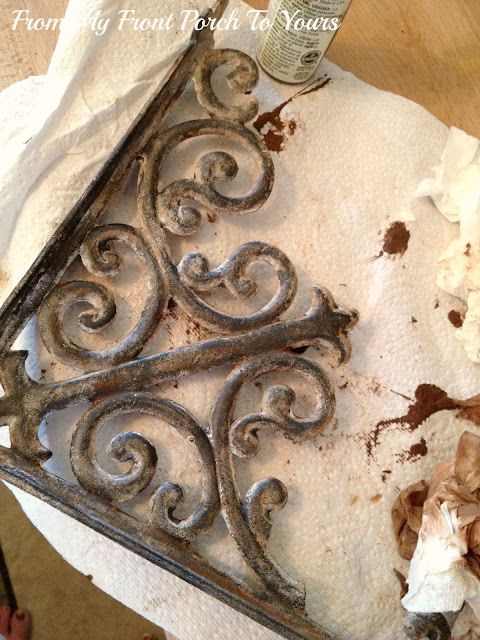 Next I used a damp paper towel and just started wiping the Old White off. If I wiped too much off I just added it again and then repeated wiping. 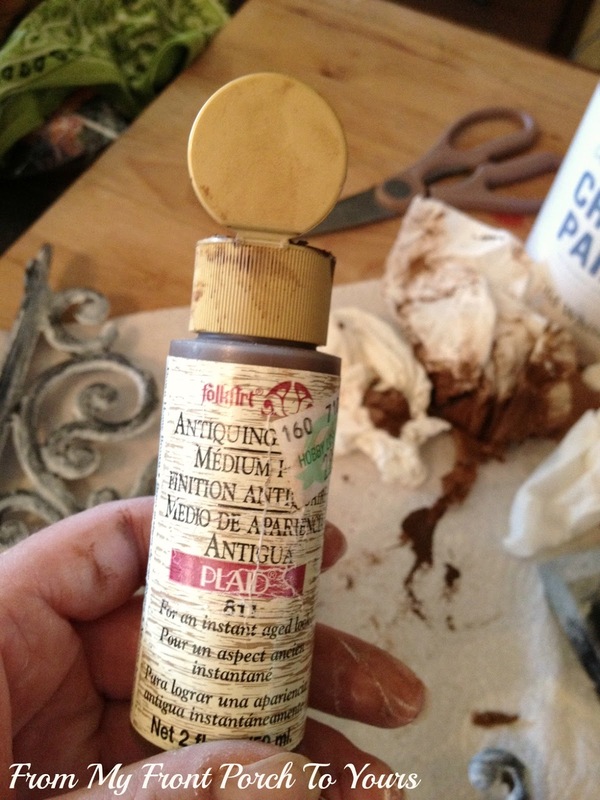 Next I used some antiquing medium I had on hand. I dabbed some medium on a damp paper towel and just started rubbing it all over the bracket. It was a super easy project and one that you can't mess up! If you do not quite like how they are looking all you do is keep adding and taking off till you achieve just the right amount of rusty goodness. Attaching the brackets required a straight edge, a measuring tape plus a little patience. To get them hung required a leveler and The Hubster. Here is a little sneak peek at whats to come next! :) I am in the process of adorning the shelves. Once I am done I will be sure to share! Look's great Pamela, Can't wait to see the finished room. Very pretty, Pamela! Love how the brackets turned out. 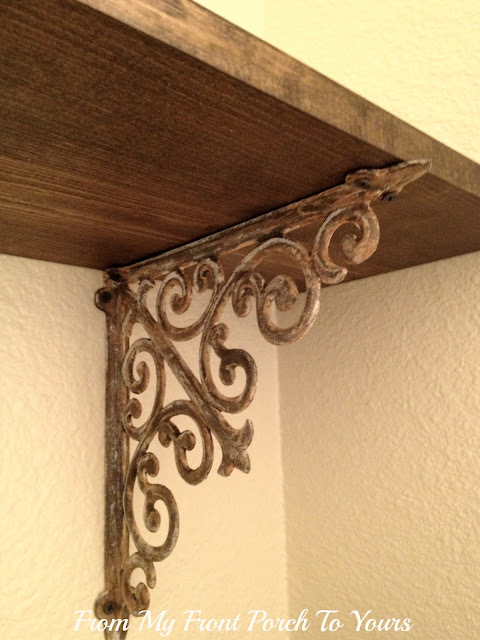 I'd love to add brackets like that under my kitchen cabinets. These turned out great! Good work. Hey, Pamela! These look great! 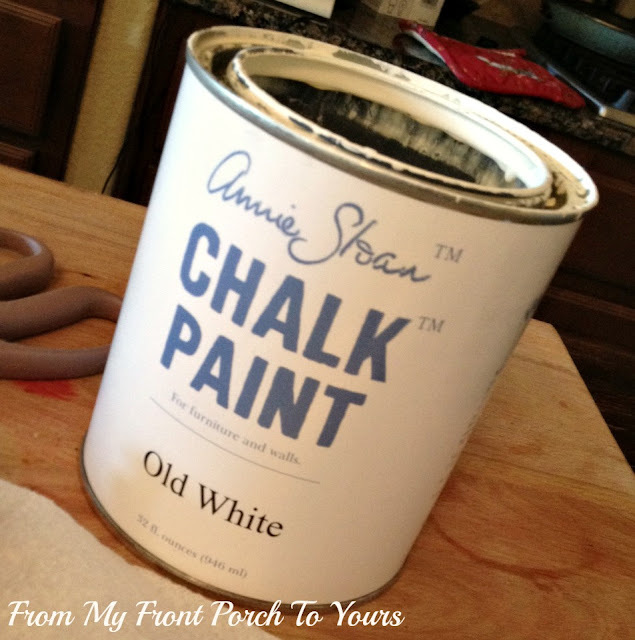 Thanks for the tip on how to get this new "old" look! I love how the brackets turned out after you gave it some love. I never would have thought they were new. 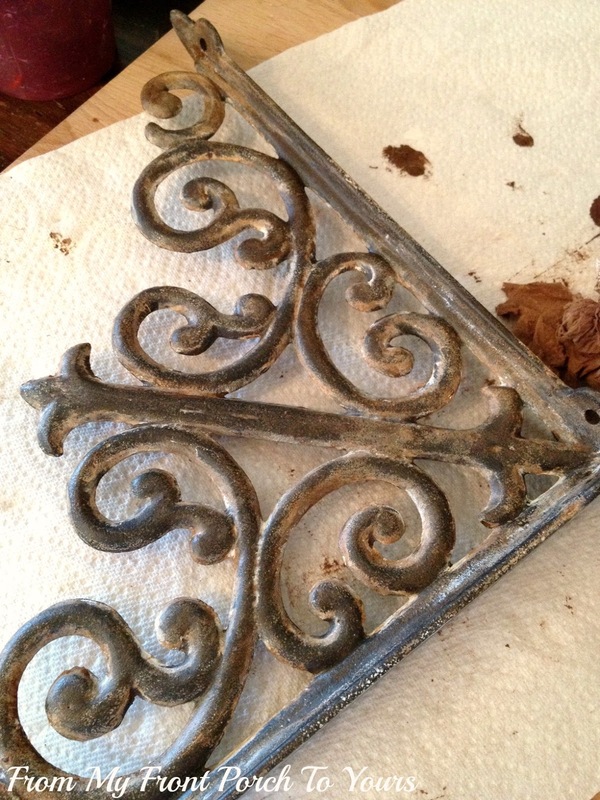 I love the weathered looking brackets! They look awesome. Have a great weekend! I love this look! I need some shelves in my bathroom as well. Might need to jaunt on over to Hob Lob! They came out great Pam! I know the whole bathroom is going to darling when you are done. You have the best taste!! These look great. Don't you just love the things you can do with paint? perfectly rusty and old looking. Amazing and such a good idea. I want to try this. Gotta get me some of that paint. Love those brackets!..They turned out great...you really made them look old!...can't wait to see what beautiful things you will be displaying! Have a great weekend! Great job these look and came out fantaistic. I love that antiquing medium. Oh Pamela I am lovin the little peek!! Can't wait for the full reveal! this looks so easy when I see it on the computer screen. wink. Thanks for sharing Pamela. 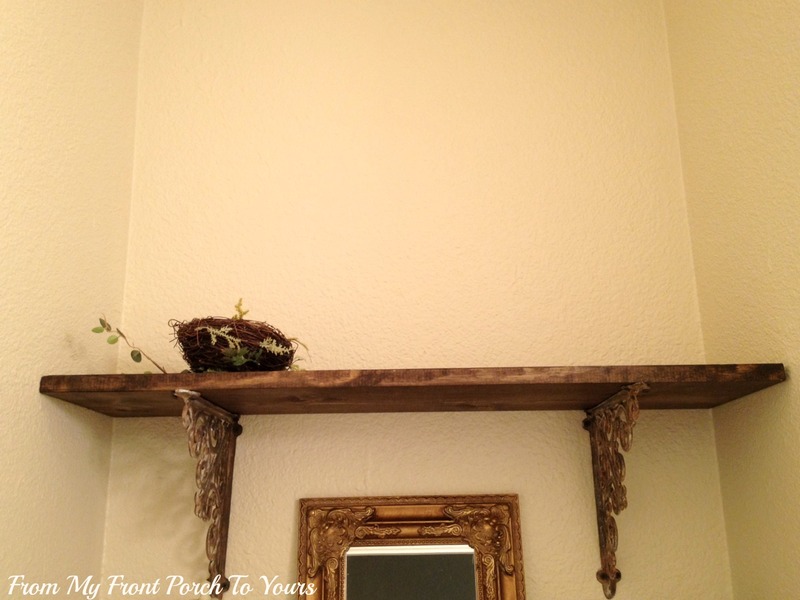 Thank you, wanting to do sewing room shelves, this is great! Very smart idea. 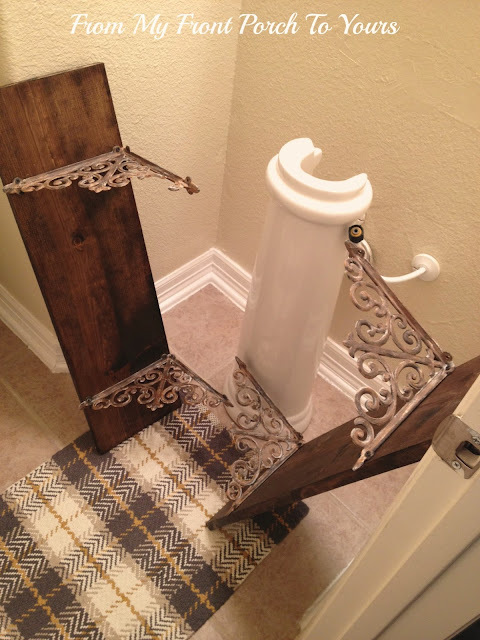 Love the look.were do you buy them brackets. I live in ireland. Thank you.